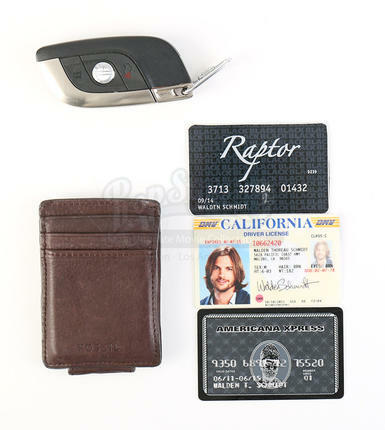 Walden Schmidt's (Ashton Kutcher) wallet and car key from the hit TV comedy Two and a Half Men. 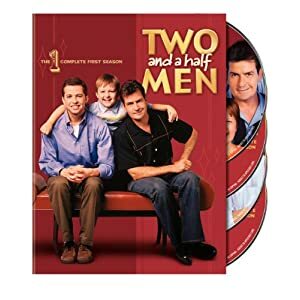 In the series, a successful jingle writer's life gets turned upside down when his brother and young son move in. 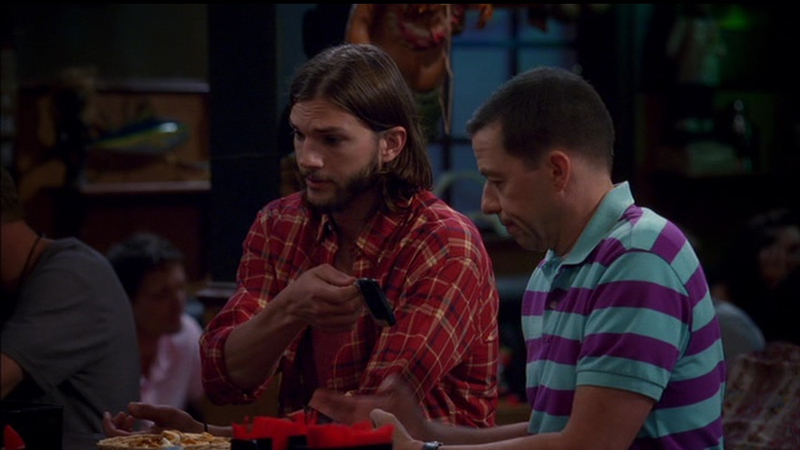 After Charlie's (Charlie Sheen) death in the season 9 premiere, Walden moves in to the Malibu house and asks Alan (Jon Cryer) to move in with him. Walden uses his car key and wallet throughout the series. 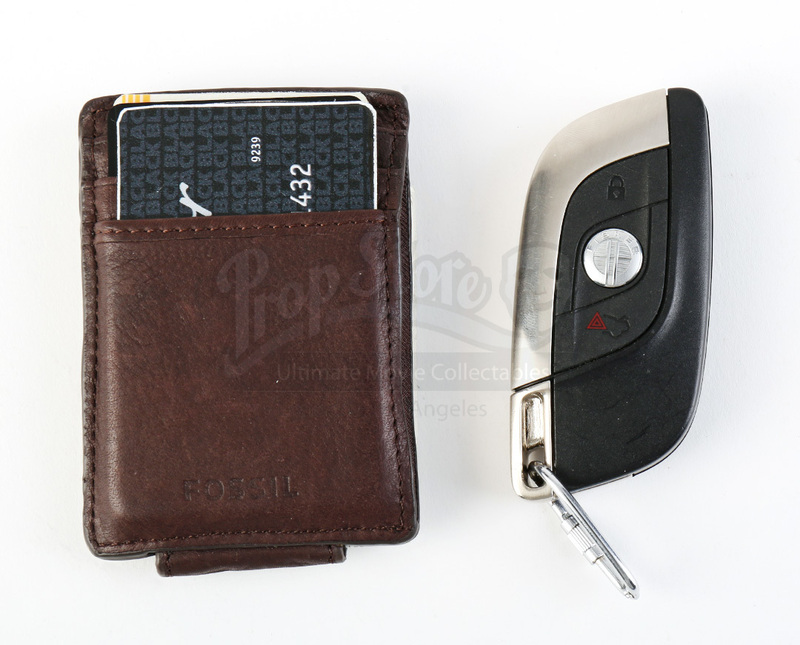 The leather wallet is made by Fossil and features five card slots, a pocket and a money clip. 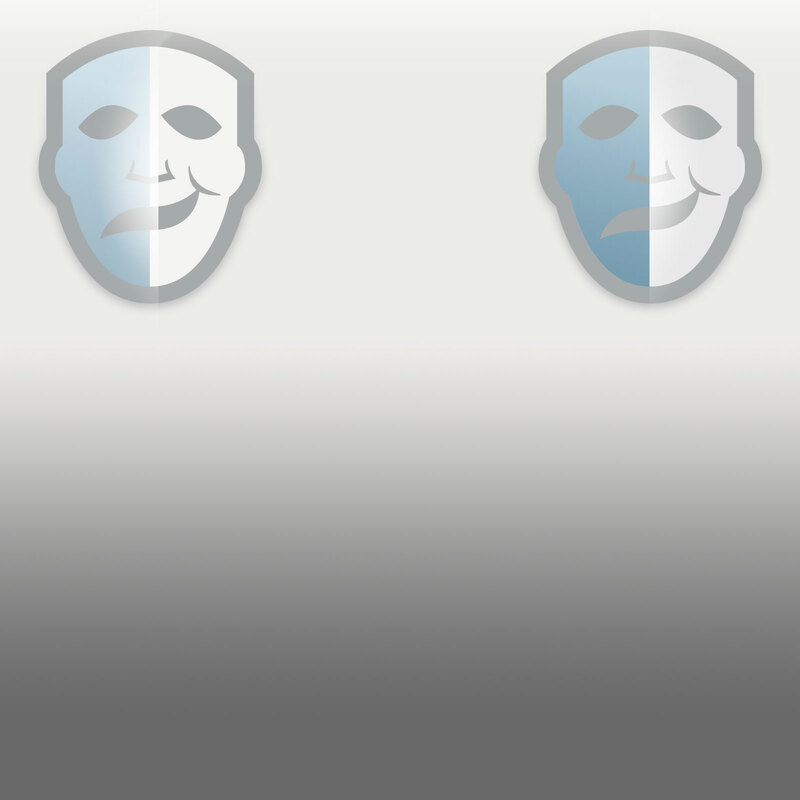 Clipped to the wallet are five prop bills, comprised of two 20-dollar bills and three five-dollar bills. 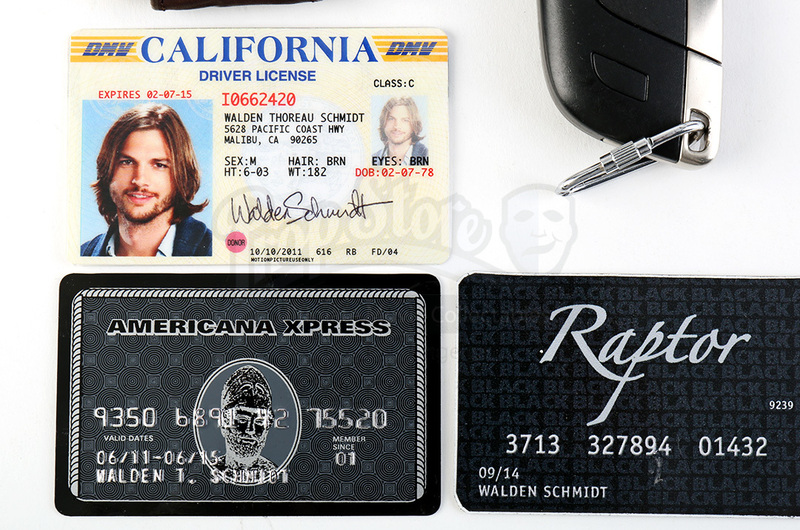 Within three of the card slots are Walden's credit cards and his driver's license. 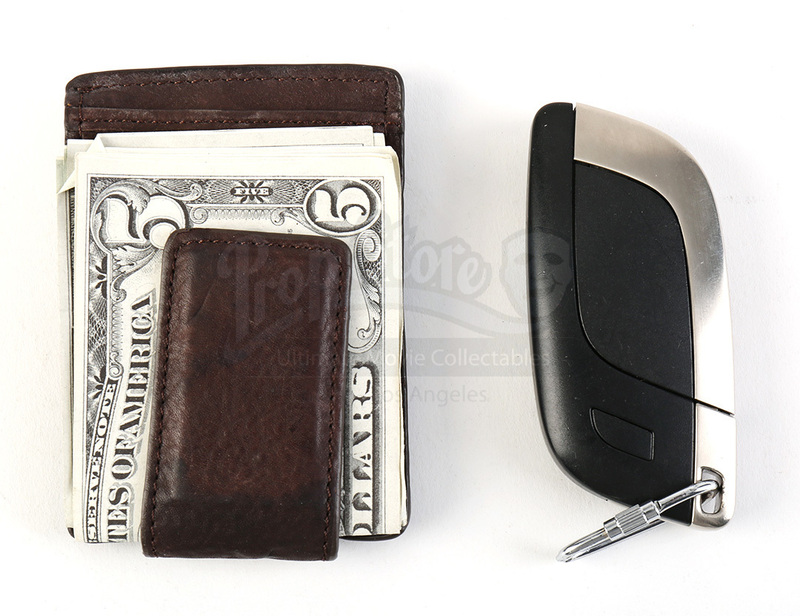 The key fob is for a Fisker Karma, is made of metal and black plastic and features three buttons along the front side. 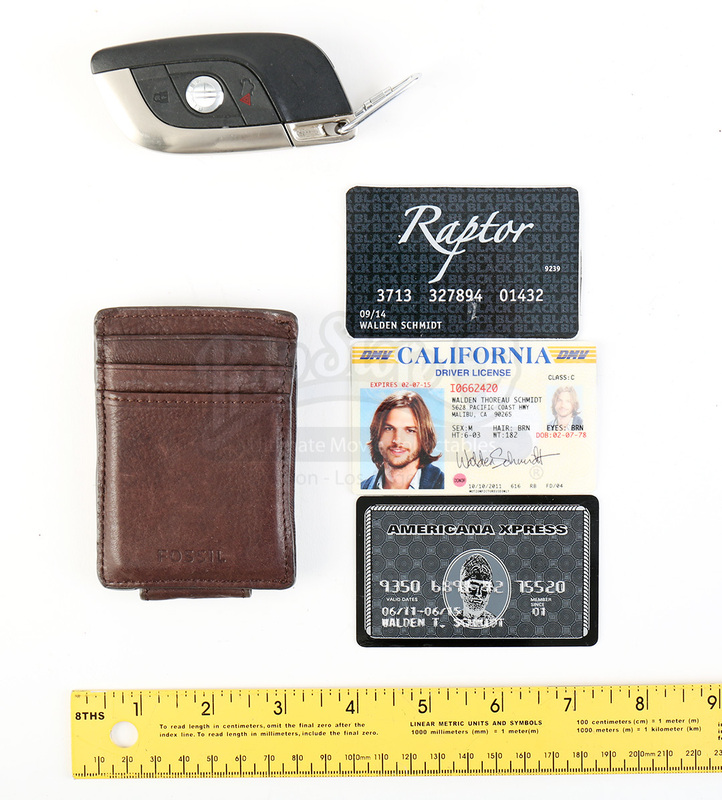 The set shows some wear from production use and age, but remains in great overall condition.